Festuca arundinacea, or Lolium arundinaceum, is native to Europe, but much more important and common in the United States. It was first brought to the United States in the early 1800s. Even though planting of this type of grass as turf was not common until the 1940s, Tall Fescue grass quickly became a favorite in many locations across the country due to its hardiness. In general, Tall Fescue grass is much coarser and clumps densely when compared to Fine Fescue. 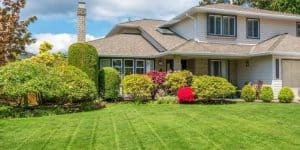 There are a lot of different types of Tall Fescue grass to choose from when seeding a lawn, which makes it fairly easy to find one that will best work. Some common types of Tall Fescue grass include “Greystone,” “Defiance XRE,” and “Titan LTD.” Defiance XRE is a blend that spreads by rhizomes. 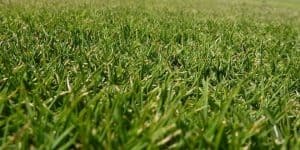 This results in a turf that is very tight and dense, which is great for areas that have a lot of use, such as a sports field. Titan LTD grass is fairly shade tolerant and will perform well in cooler areas of the transition zone. This grass is much better in shade than other varieties of Tall Fescue grass. 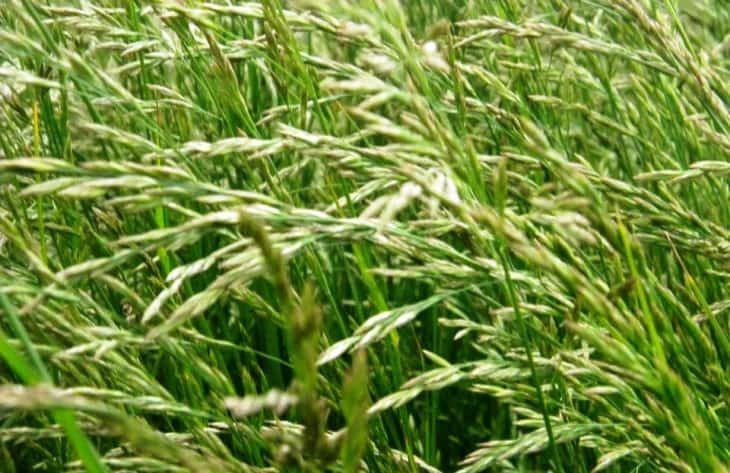 “Kentucky 31” is the most common type of forage Tall Fescue, along with “Alta.” They are still used for forage, as they get up to two feet high with foot tall seed heads and stems. This cool-season grass has an improved heat tolerance, which means that it grows really well in transition zones. 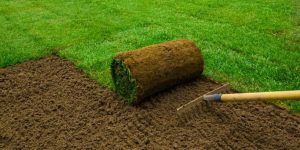 Due to its bunch-forming growth, it is important that the lawn is correctly seeded, or it can look a little sparse and bare. This type of grass will germinate quickly and easily from seed, especially when compared to other cool-season grasses. 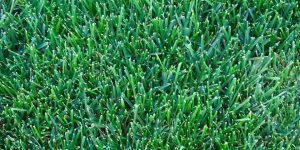 It has a very extensive root system that can easily reach up to three feet deep, which is, in part, what helps provide the grass with its improved heat tolerance. This grass clumps and doesn’t spread very well, although it can spread somewhat through the use of vertical shoots. 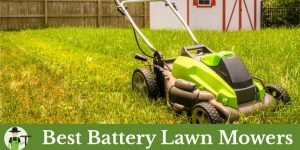 While this means that it’s easy to contain Tall Fescue grass and to prevent it from spreading into garden beds, this also means that this grass is not the best at self-repair when it has been damaged. Damage is often repaired through seeding, as this grass germinates so quickly. 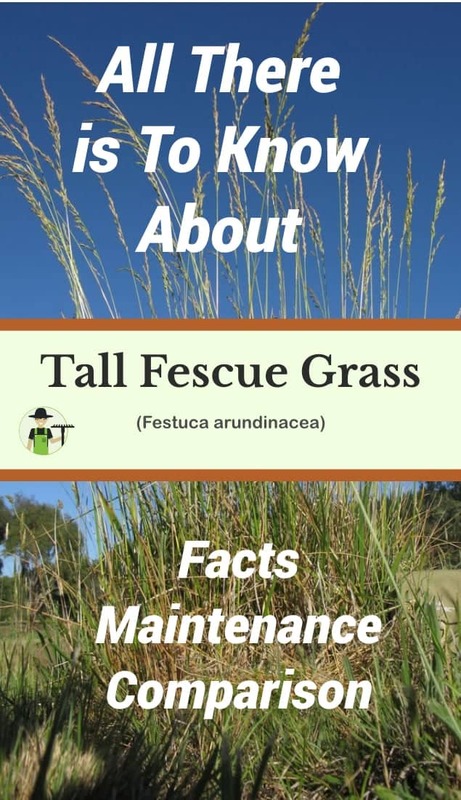 Tall Fescue has a number of uses, with turf being just one of them. It can also be used for soil erosion control thanks to the deep roots that it has. Additionally, this is a very important grazing and hay grass in Europe, even though there are other grasses that are more commonly used for grazing in the United States. 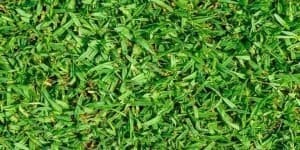 This is a great grass for lawn and can even be used in parks. It does a great job of standing up to wear and tear, although damage can occur. Tall Fescue is also a great option for landscaping at a business, as it is very attractive, and it won’t get a lot of damage. Tall Fescue is not very tolerant of hot weather, but it is one of the most tolerant out of all cool-season grasses. This makes it a great option to plant in transition zones. Obviously, this grass has a very high tolerance for cold weather, second only to Bentgrass and Bluegrass. Generally speaking, Tall Fescue can be grown both in transition zones and in northern states. This grass is more cold hardy than warm-season grasses and better able to stand up to heat than most cool-season grasses. In order to germinate Tall Fescue, the temperature of the ground needs to be between 60 and 65 degrees. By waiting until the air temperature is between 68 and 77, homeowners will have the best chance at a good germination rate. While every type of grass does need sun in order to grow and to thrive, Tall Fescue is very tolerant of shade. In fact, it tolerates shade much better than all other types of cool-season grass, except for Fine Fescue. This makes it perfect for planting in shady areas of a lawn. While Tall Fescue does require sun, when it has first germinated, it is very common to protect it from sun damage using wheat straw. This helps to prevent the young grass from being burned by the sun. Even though Tall Fescue is technically a cool-season grass, it can freeze and die when the temperature in the winter gets too low. Once the temperature average under 10 degrees, then it is really common for this grass to die. Most Tall Fescue types are best suited for areas with cool winters and moderate summers. There are some varieties, such as Kentucky 31, that will withstand higher temperatures better without being damaged. 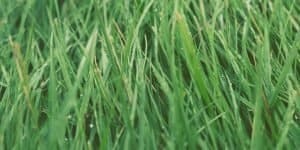 Even though Tall Fescue is relatively tolerant of droughts and can withstand periods of time without a lot of watering, it does need to be watered in the summer in order to stay green. The right watering will help to keep the lawn healthy. Providing irrigation to the grass during the spring will help the Tall Fescue stay more drought tolerant. It’s easy to tell when this grass needs to be watered, as the lawn will start to wilt, and footprints will stay in the blades. 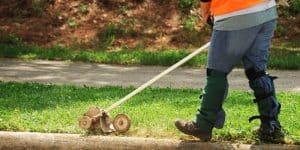 When the grass needs to be watered, it’s best to apply enough to dampen the ground to 4 to 8 inches. This type of grass needs 1 inch of water at least once a week. One of the reasons that so many people opt for Tall Fescue grass in their yards is that it is so tough. This type of grass can easily handle a lot of foot traffic and not suffer any significant damage. 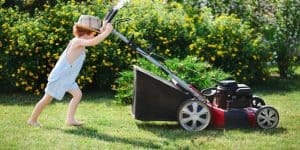 This is great for homeowners who are really active or for public spaces, such as parks, as Tall Fescue grass can withstand a lot of use without showing a lot of damage. To keep Tall Fescue grass looking its best and as healthy as possible, it’s important to perform maintenance to meet this grass’ needs. Even though Tall Fescue grass is incredibly durable and hardy, it still does need the right type of care in order to grow strong and healthy. Overseeding is really important because of how quickly the blades die. Since the blades generally only live around 40 days before dying, overseeding is the only way to keep this grass looking really healthy. In fact, overseeding every other year or even every year is very common. 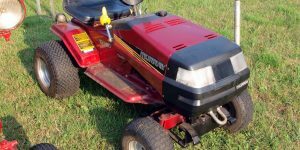 Most types of Tall Fescue shouldn’t be mowed any shorter than 2 inches, as this can compromise the grass, make it unhealthy, and even cause it to die. There are some improved types of Tall Fescue that can be cut shorter, around 1.5 inches, but only during cooler months. During the summer and for any Tall Fescue that is growing in the shade, it shouldn’t be cut lower than 3 or 4 inches. This helps to prevent the grass from dying and offers shade during the hot summer months, which will ensure a thick and healthy lawn. Thatch should be removed as soon as there is more than .5 inches. Power raking in the fall or spring is a great way to remove thatch. Aerating is a great way to improve the health of the lawn, while at the same time breaking up thatch that has formed. The right soil is important in order for Tall Fescue to be healthy and to provide a thick turf. 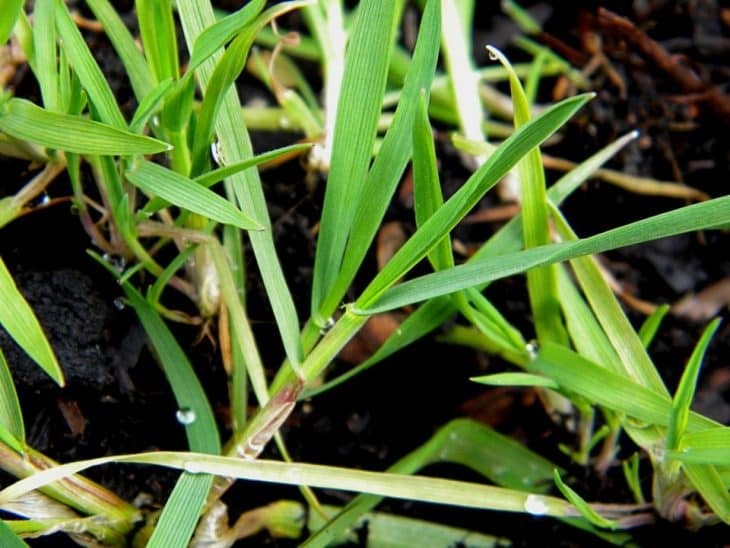 This grass can easily adapt to poor soil and does especially well in wet and acidic soils. In fact, it performs better than other cool-season grasses when planted in soils that have a pH under 5.5. The best way to fertilize Tall Fescue is to first have a soil sample analyzed to make sure that you know what nutrients the lawn needs. If it is not possible to have a soil sample tested, then it’s a good idea to use a turf-grade fertilizer. These generally have a 4-1-2 radio, like a 16-4-8 fertilizer. During summer months fertilizers that are high in nitrogen should be avoided, if possible. Organic fertilizers are a much better option when it is hot. Fertilizing Tall Fescue should be avoided for much of the year, until around September. At this point, and through February, it is a good idea to fertilize. 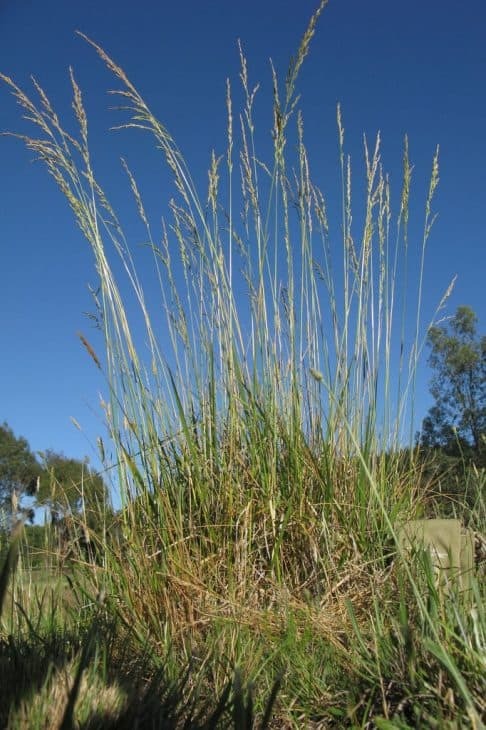 While Tall Fescue is very hardy and durable, it can be affected by disease, especially when thatch is allowed to build up and environmental conditions have changed. One of the most common diseases that affects Tall Fescue is brown patch. This is generally a bigger problem in areas with humid and hot weather. It moves quickly from the blades to the crown of the grass and needs to be treated immediately with an organic fungicide. During treatment, avoid using nitrogen fertilizer and herbicides. Weeds aren’t much a problem with Tall Fescue, but they can be sprayed to quickly eradicate them when they do pop up. There are a number of insects that can infect Tall Fescue, including army worms, white grubs, leafhoppers, and cutworms. Grub worms are very damaging and chew through grass during the night, cutting it down to soil level. 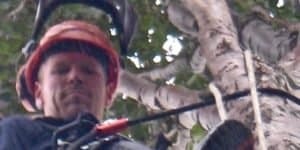 Using a pesticide at the first sign of insect damage is important. 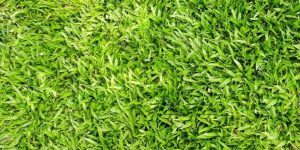 Comparing Tall Fescue grass is the best way to find the right one for a particular use and will ensure that the grass used looks its best and is durable and best suited for the climate. 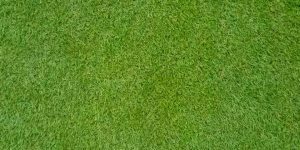 While both types of grass have an attractive emerald color and create a dense grass, Tall Fescue has a more varied and textured appearance. Bluegrass is going to be softer underfoot and stays green during dry periods. Bluegrass, while attractive, doesn’t do a great job of standing up to regular use and traffic, but it does a much better job of filling in after being damaged. This makes it a great option in parks, lawns, and on sports fields. Both types of grass have thatch, but Bluegrass tends to build thatch faster and requires more work on a regular basis to remove it. With regular maintenance, however, Bluegrass can be free from thatch and very attractive. In general, Tall Fescue is a better choice for areas with colder winters, while Bermuda grass does better in warmer climates. Bermuda grass also tends to be invasive, so it’s important to keep an eye on it and remove it as it spreads. Bermuda grass spreads much more easily than Tall Fescue, which means that it will quickly fill in after being damaged. 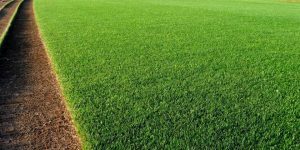 This is great as Bermuda grass is commonly used in yards and sports fields. This grass does go dormant in the cold and will brown after a frost, while Tall Fescue grass is much more durable in cold climates and is not as easily damaged. 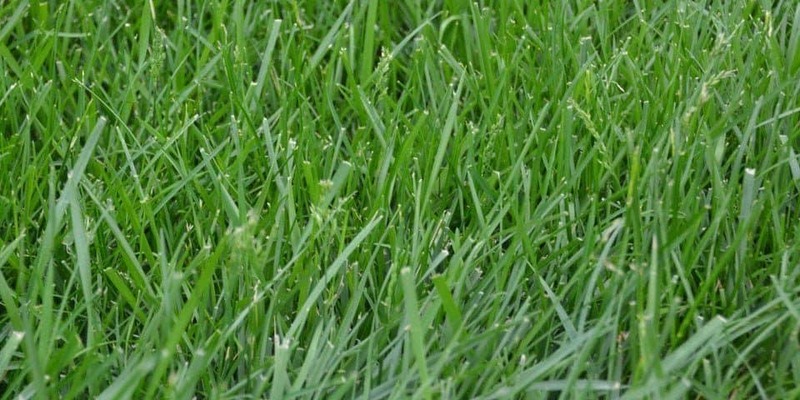 While Perennial Ryegrass is known for being fairly durable and being able to withstand drought without a lot of problem, Tall Fescue grass is even more drought tolerant. It has very deep roots. Tall Fescue grass also can grow better in shady areas than Perennial Ryegrass can, although they both prefer more sun. Thanks to its incredible durability and ability to withstand wear, Perennial Ryegrass is the better option for areas with a lot of foot traffic. 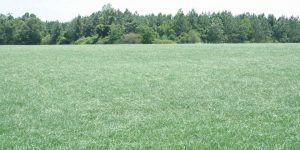 While Tall Fescue grass is common in clay soils that are well drained and located in transition areas of the US, Perennial Ryegrass is hardy enough to grow near the cost without being damaged by the salt.